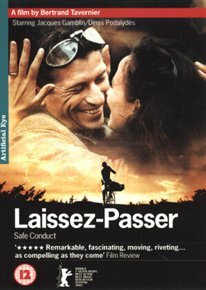 Here is the second part of films dealing with the occupation of France in the Second World War. Based on true stories related by director Jean-Devaivre and writer Jean Aurenche, Bertrand Tavernier’s film tells of the experiences of the Parisian filmmaking community during the Nazi occupation. Aurenche (Denis Podalydès) does everything he can to avoid working for the German-controlled production company Continental Films, something he believes would constitute collaboration. But Devaivre (Jacques Gamblin) takes a very different approach; he accepts a job at Continental, believing it will provide perfect cover for his resistance activities. Meanwhile, the Nazis begin to close in on Devaivre’s brother-in-law Jacques Dubois (Olivier Brun), suspecting him of involvement in the resistance. 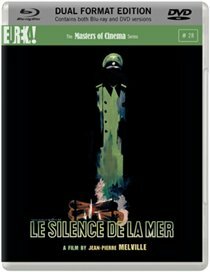 Jean Pierre Melville’s debut film is an adaptation of the novella by French resistance author Vercors (the pen name of Jean Bruller), which was clandestinely written in 1942 during the Nazi occupation of France in WWII and furtively distributed, becoming a staple of the Resistance. Melville’s cinematic adapatation – partly shot in Vercors’ own house – tells the story of a German officer, Werner von Ebrennac (Howard Vernon), who is billeted to the house of an elderly man (Jean-Marie Robain) and his niece (Nicole Stephane) in occupied France. Resisting the intruder, the uncle and niece refuse to speak to the German officer, who warms himself by the fire each evening espousing idealistic views about the relationship between France and Germany. These propagandist illusions are shattered, however, when a trip to Paris reveals the truth of what is really going on. 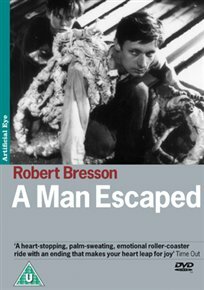 A member of the French Resistance (Francois Leterrier), imprisoned and condemned to death by the Nazis, plots his escape from his cell at Montluc with the help of his teenage cellmate. Andre Devigny. 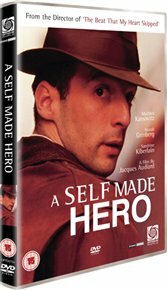 In post-war Paris, Albert Dehousse (Mathieu Kassovitz) attempts to escape his past (working as a travelling salesman in the war to avoid ‘voluntary’ labour in Germany) by creating a new identity for himself. Reinventing himself as a Resistance hero, he is appointed to weed out traitors in France. Overcoming initial hostility from his new colleagues, he soon finds his façade beginning to crack. Set in Nazi-occupied Paris in 1942. 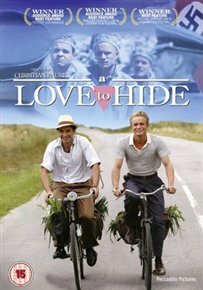 The story revolves around a gay male couple who must keep their love a secret for fear of persecution. Their lives are further complicated by the appearance of a young Jewish woman seeking refuge.